Come Join The Fun At The 2013 New York State Sheep And Wool Festival!!! October brings fresh apples, autumn leaves, and the NYS Sheep And Wool Festival at the Dutchess County Fairgrounds in Rhinebeck, NY! 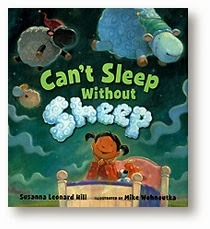 Come join me on Saturday October 19 from 11-3, with a special story time at 12:15 when I’ll read Can’t Sleep Without Sheep! While you’re waiting for the Sheep & Wool Festival to get here, you can do something fun! In Can’t Sleep Without Sheep, Ava has a hard time falling asleep so she counts sheep. But she has to count them so many times that they get tired and quit! Ava has to find something else to count instead! For a chance to win a free, signed copy of Can’t Sleep Without Sheep, you can do one of two fun things! 1. On a piece of paper, write down what animal Ava could count instead of sheep and why it would be a good choice for falling asleep. Bring your entry with you to the Merritt Bookstore booth in Building B on Saturday October 19 by 1 PM (but come at 12:15 if you want to hear the story!) Please make sure your name is on your entry. After the story, we will randomly choose one winner to receive a free, signed copy of the book. You must be present to win. 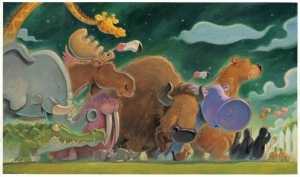 My friend, Iza Trapani, will also be at the festival reading her delightful book, Baa Baa Black Sheep! Please visit her site for a chance to win a book from her, and be sure to come see her at the festival on Saturday between 9 and 12:30 or on Sunday from 10-5! If you’re excited to share you entry ideas or drawings, you are welcome to post them in the comment section below. You can also take a picture of your drawing and email it to me at susanna[at]susannahill[dot]com and I will be glad to add it to this post so visitors can enjoy your artwork! Have fun writing and drawing! I look forward to seeing you at the festival! Perfect Picture Book Friday – The Day The Crayons Quit PLUS A Giveaway Winner! Thanks so much, Tonja! I've been before and it's QUITE the event! If you love sheep, alpacas and/or yarn, knitting, crochet etc. it's absolutely amazing! While I won't be there, I sure wish I could be! I have a yarn (and fabric) obsession. 😉 Hope you sell lots of copies of Can't Sleep Without Sheep, Susanna! Every fiber artist should own a copy…like I do! Have a great time at the festival. There's something about sheep and picture books. Love that sheep in the bottom shot! Have a great time at the festival and during the reading at the bookstore. If I lived 1200 miles farther north, I would swing by! I am a graduate of Dutchess Community College, but that was about 46 years ago and we haven't been back since. I wish I could go to the festival, but it is a loooooong way from Sacramento. This book sounds really cute. I will definitely be checking it out. Thanks for telling me about it. Have fun at the festival. Dutchess County is gorgeous this time of year. We had a flock when I was growing up! The festival sounds like something I would enjoy. Have fun, Susanna! Hi Susanna, Yes. I left a similar message on Iza's page. be buying a copy of Baa, Baa, Black Sheep. You too inspire the writer in me. How fun to take part of this sheep festival, both you and Iza! How I wish I could come. I've never been to an event like this before and the pictures I (well someone traveling with me who doesn't still have a nearly inoperable flip phone) could take pictures of everything! 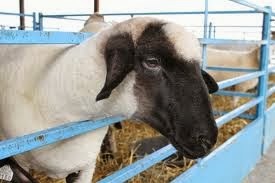 I wish ewe weren't so baaaashful. Ewe'd be a great surprise to my class. Woo! Yes, definitely up my alley! 😉 hubby would hide the credit card and checkbook if I were going. My nomination is and always will be guinea pigs. I so wish I could be there! Have a wonderful time! So it's guinea pigs, eh? What about groundhogs! Cute, furry, sweet little groundhogs???!!! You should come join us, Mike! Even though your book isn't about sheep, it is about Thanksgiving in the olden days when they did lots of canning and stuff, and there's plenty of that going on at Sheep & Wool – jams, preserves, fruit butters, and that other stuff – um, chutney! whatever that is 🙂 Also, Sarah probably had to knit her own woolen underdrawers. Think about that! Smart thinking! Were you attending the sheep festival anyhow, or did you come up with the idea to promote at sheep based activities? 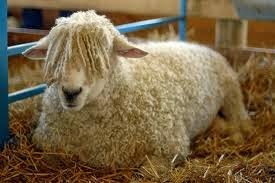 I love listening to sheep. They don't really go “baa, baa.” It's more of an ummmmbleahhh. Can you verify the spelling of that onomatopoeia with the sheep when you are there?